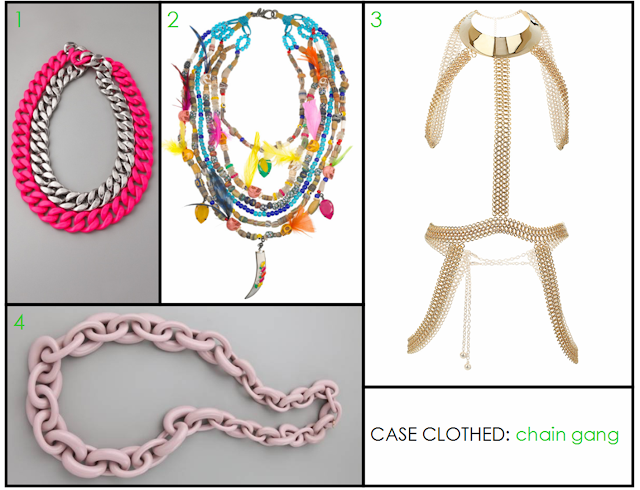 This spring update your current wardrobe with chains aplenty. Whether you go for classic links in a new oversized shape, neon brights, tribal accents or inventive body harnesses its's all about taking chances and making one of these signature pieces your own. Take a peak at these new necklaces to create a fashion-forward chain gang of your own, CASE CLOTHED.